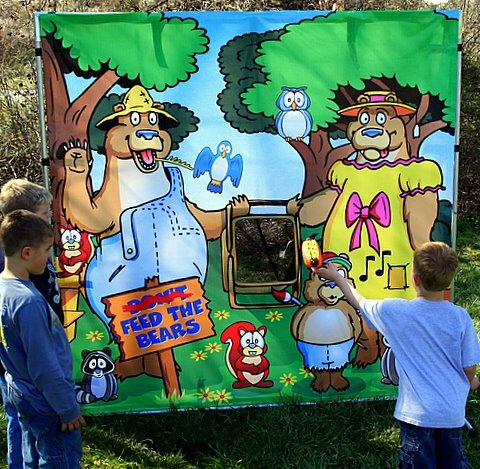 For the little ones we've created the adorable and fun 7'x7' Feed The Bears game. The kiddos just love tossing the plastic food into the bears' picnic basket! It even comes with it's own picnic basket filled with yummy food! You'll love this compact, low maintenance, low cost game which can really boost your profit potential. Feed The Bears can be set up in less than five minutes and can be used indoors or out.